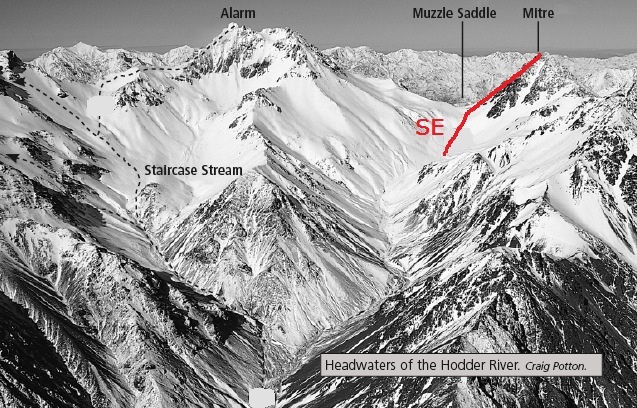 A prominent couloir reaching to a small col between the two summit pyramids gives the peak the appearance of a bishop’s mitre. Messrs Alexander, Fowler, Neville, Moore, Jan. 1895. Via HODDER RV. 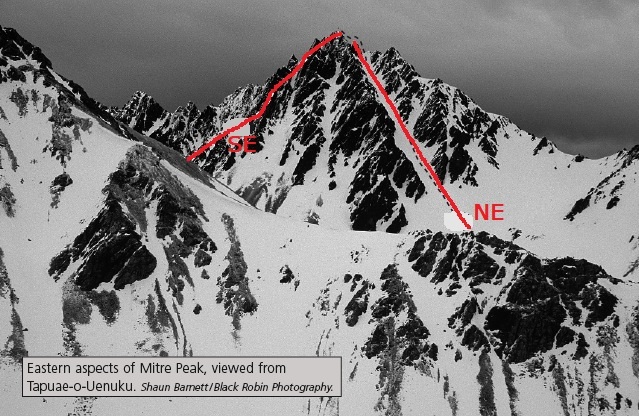 This impressive rock ridge can be gained from near Muzzle Saddle, or else via a snow couloir. Good scrambling on steep rock. John Nankervis, Ross Gooder, Bob Gunn, Jan. 1969.